Bat week is an annual international celebration of the role of bats in nature. This year’s bat week is October 24-31. Step outside around dusk and take a few moments to look for bats in your neighborhood. Iowa is home to nine bat species: little brown bat, big brown bat, red bat, hoary bat, silver-haired bat, Indiana bat (federally endangered species), evening bat, eastern pipistrelle, and northern myotis. A small bat eats between 1,000 and 2,000 small insects every night. 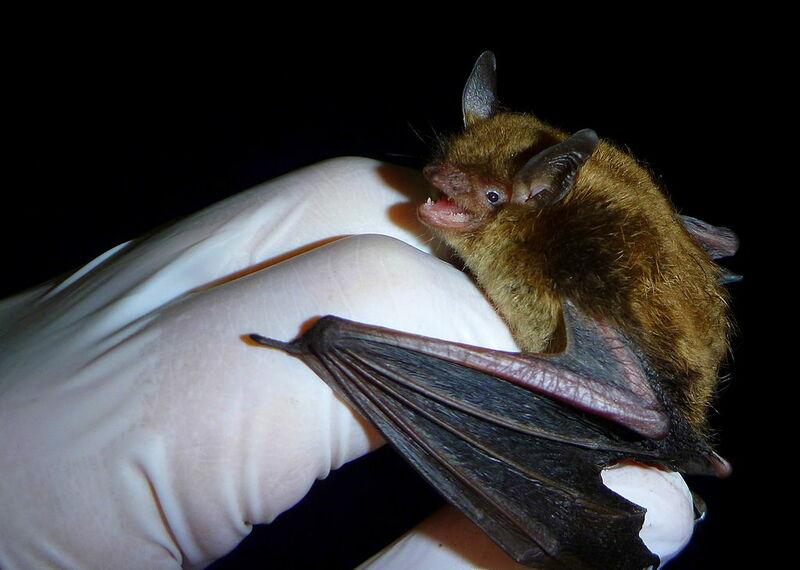 Bats use sonar to find dinner when it’s pitch black out. Bats make noises, which bounce off the bugs and back to the bats’ ears, where the sound is picked up by the bats’ specialized hearing. Bats are the only truly flying mammals. One of Iowa’s few true hibernators, bats hibernate all winter until there are insects to chow down on again. Within three weeks of being born, young bats are taking flight. They grow quickly, being full-grown in about a month after birth. Young bats take off for their own roosts once they’re weaned. Bats hang upside down because it allows them to roost in places where predators can’t reach them. It also allows them to get into the air faster by falling to achieve flight. Iowa Conservation & Environmental Education Survey Now Live!